When most people think of a United States Marine, words like “tough, resilient, warrior and fighter” commonly come to mind. And they would be right. These adjectives are synonymous with the men and women who have chosen to serve in this segment of the United States Armed Forces. Even the term “first to fight” is not hyperbole, it quite literally means Marines are the first branch of the military called upon when conflict arises around the world. 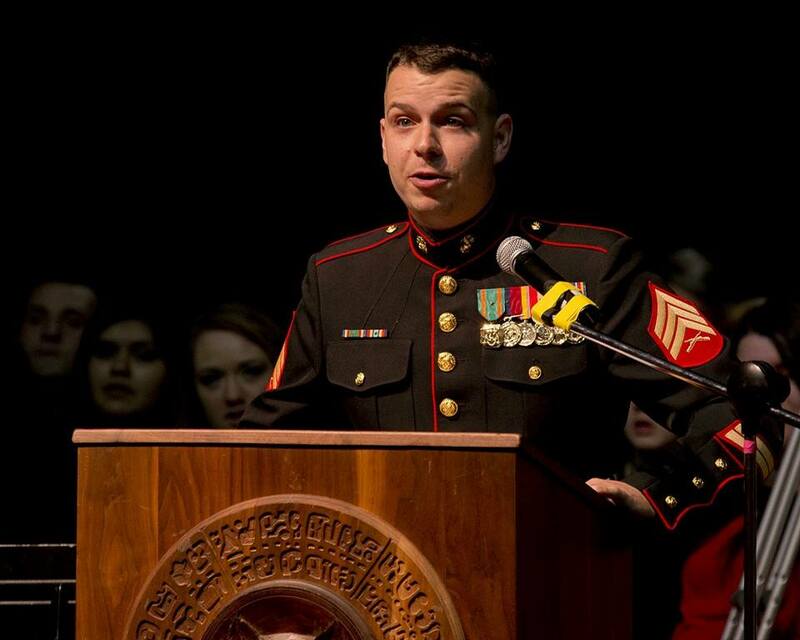 Richie giving a speech about the benefits and advantages of the US Marine Corps to high school students in Olympia, WA. However, in all the time I spent immersed in war history, studying both past and present conflicts, as well as military education, there was one word I certainly did not encounter, and that was “salesman.” Corporate sales is not a common career path for Marines who have finished their service, but little did I know my time in the military had not only prepared me for a career in sales, but it had gifted me a unique perspective with which I approach people in my current role. In many ways, my time in service put me on the trajectory towards what would become my sales career path. During my time as a junior Marine, much of my focus was spent learning how to speak to those with more experience, knowledge, and rank than myself. I was taught to respect the chain of command and always keep my composure, no matter how I was feeling personally. I learned the art of listening to understand, not simply to respond. After my time in the military, when I started my journey in enterprise sales, I noticed how far these qualities went in the private sector. I was respectful to those in leadership, went out of my way to forge relationships with leaders higher in the organization, and most importantly, I listened as much as possible. A smile, handshake and being respectful go a long way. It is easy to say a company's culture is thriving and strong, but it is quite another to instill it. However, when you do, it creates loyalty that is an attribute of times past. When you join the Marines and step on those yellow footprints the first night of basic training, you are told there have been hundreds of thousands of men and women who have stood here before who have earned the title US Marine - a profound realization, and one that you don’t forget. From day one Marines are taught honor, courage, and commitment and I lived by those ethea throughout the entirety of my 9-year career in the Marines. Knowing that all the men and women standing by my side lived the same way, there was never any doubt of the abilities and capabilities of the people I stood alongside. We love acronyms in the Marines and one of my favorites was JJ-DIDTIEBUCKLE. Although it might sound like a reference to someone named JJ tying his belt buckle, each letter actually represents the core of the Marines’ treasured leadership principles. Justice, judgment, dependability, initiative, decisiveness, tact, integrity, enthusiasm, bearing, unselfishness, courage, knowledge, loyalty and endurance. I still have this acronym memorized today because its principles have in part molded me into the man I am today. Enthusiasm is my favorite of these leadership principles. As I navigate meetings and make sales pitches, I have constantly benefited from my passion and attention to detail. If you don’t believe in what you are selling, you are going to have a very difficult time selling it. JJ-DIDTIEBUCKLE taught me to always give 110% and be prepared for anything. I firmly believe that this enthusiasm is contagious to those I work with and that its a metric for continued success in hitting my quota. “Adapt and overcome.” If only I had a penny for every time I heard that. The mental and emotional side of the Marine Corps is arguably the most difficult part of the training to navigate in the beginning. The fear of letting down your platoon outweighs any of the physical duress. As you develop the mental fortitude needed to deal with any situation tossed in your direction, you begin to understand that poise under pressure, and your response in times of adversity can lead your team directly to success, instead of failure. You yourself can be responsible for the turn of a tide, and that responsibility is one I’ve come to relish. If an obstacle stands in my way, I don’t complain or blame someone else. If I make a mistake or have a misstep, I own it and then figure a way around it. Rejection is a familiar part of the sales cycle, but with reflection, the knowledge I have taken away from each of those rejections is how I’ve powered through. I have been able to improve upon what may have stood in my way, quite often with the humility that it may have been something I did incorrectly. Although I’ve focused here on customs and courtesies, ethos, enthusiasm, and overcoming adversity, the reality is that there are dozens of ways that the Marines prepared me for sales. I am eternally grateful for all of the leaders I served under in the corps who guided me to become the man I am today. Some of it was tough love, some of it was a bit more gentle, but all of it was constructive. My prior leaders have shaped who I am, how I respond to situations, and how I develop strategies to overcome adversity. I credit my military leaders and mentors with instilling the mindset that nothing will ever be too great a challenge to overcome. I feel very fortunate to be part of an amazing company who has put their trust in my abilities and I look forward to helping Unacast grow without limits. 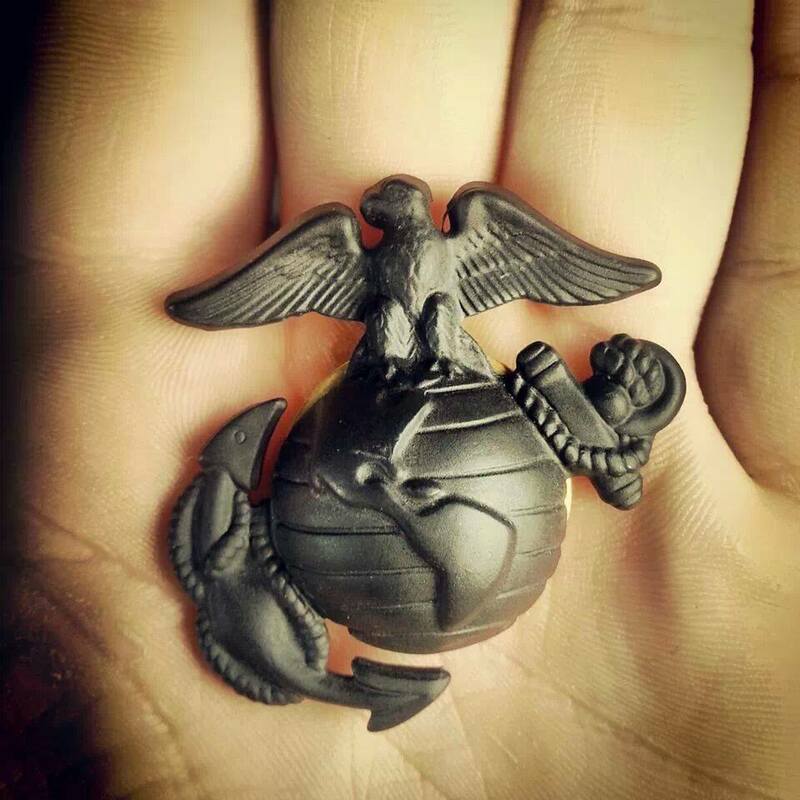 Semper Fidelis!